We’ll take care of everything from start to finish. We’ll easily remove items from the office for you. 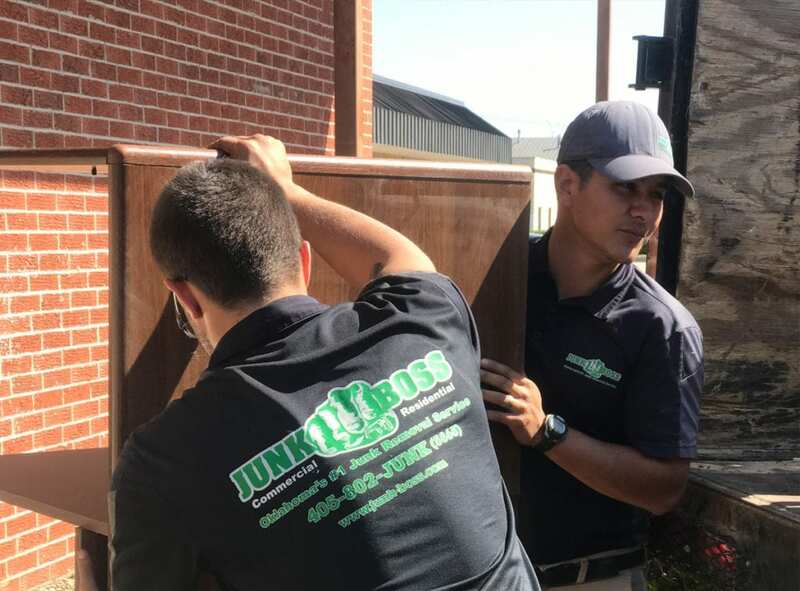 The hardest part of a junk removal job can be finding a reasonable and reliable junk removal company to do the heavy-lifting for you. Removing a hefty fridge, unwanted mattress, torn-up sofa or an outdated treadmill yourself, can be a breeze compared to the hassle it takes to find a quality junk hauler who will provide impressive services, promptly and reasonably priced. That’s why we are going to breakdown how exactly Junk Boss separates itself from the rest of the pack. We’ve all heard the horror stories about junk removal. Some stories we have heard are that sometimes, the junk removal company fails to show up on time, or even show up at all! We have also heard that some junk removal companies have been known to charge up to twice as much as what they originally quoted. It’s also a liability at times to hire a junk removal company. Will they scratch up my walls, will they handle my things with care? It’s safe to say, a lot can go wrong. Selecting the right junk hauler often means the difference between a junk removal disaster and a successful decluttering project. Whatever the junk removal mission is, there are a wide-variety of things to pay close attention to in order to make sure your choice of junk hauler is a good fit and reasonably priced. Here are a few tips. To ensure that you receive an accurate quote, have a list of the items that you need removed. Reach out to friends and family to ask about junk removal companies and suggestions. Talk to multiple junk removal companies and compare estimates. After this, check company background, online reviews, how scheduling works and an all-inclusive price. This should lead you to your desired Junk Removal Company. Using a junk removal company to get rid of unwanted junk is not only easy but can be highly rewarding as well, if you know what you’re looking for. With all that being said, Call Junk Boss, a locally owned business based out of Edmond, serving the OKC metro. We often have better rates than our competitors due to our volume-based pricing, no hidden fees and obligation-free estimates. If you need your old junk removed and out of your life, don’t hesitate to call Junk Boss. No job is too big or too small! We care about our customers.